The offshore world, with its secrecy and complex corporate structures can throw up some of the most extraordinary connections. One of them was unveiled this week by Finance Uncovered, a global network of investigative journalists. 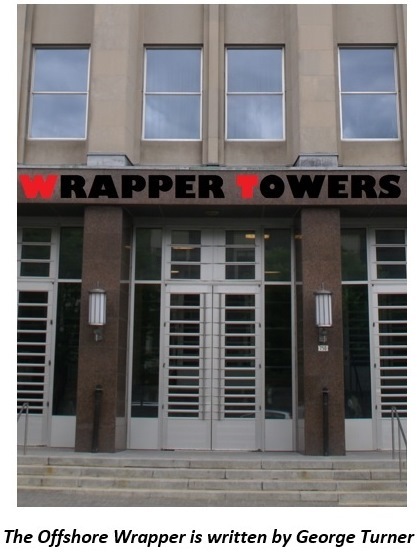 Using SEC filings, Federal Communications Commission applications and other public records, Finance Uncovered managed to show that the director of a major US defence contractor was on the board of directors of a Jersey company controlling assets in North Korea (via companies in the Cayman Islands, natch). One of these companies, Orabank, appears to be a joint venture with another bank in North Korea which had been sanctioned by the US Department of Treasury for financing the North Korean WMD programme. The episode would be embarrassing enough for the US had the eventual owner of the North Korean assets not been a multi-billionaire American citizen with prominent links to the Republican party. The story has been described as a bombshell by veteran North Korea watcher Marcus Noland, get the full story on Finance Uncovered’s website. This week has seen interesting developments around the issue of transparency for multinational companies’ tax affairs. As the giant PR clusterf*@k precipitated by the UK government’s declaration of victory over Google continued, there were increasing demands for the tax affairs of multinationals to be opened to public scrutiny. The deal arrived at by the UK government and Google, where Google paid £130m for 10 years in back taxes despite revenues and profits going into the billions, was under attack for the obvious reason that it looked pretty weak, but the government could give no answers citing ‘taxpayer confidentiality’. The Tax Justice Network’s Alex Cobham, went to the airwaves to say that the new country by country reporting system should be made public. This system will show the profits made and taxes paid by companies on a country by country basis. What Alex asks for the Chancellor seeks to deliver, and a couple of hours later George Osborne said he wanted CbCR reporting to be public too. Now, the European Commission has said it wants public country by country reporting. Now obviously we would like to take the credit for all wonderful outburst of transparency, but we can’t. The truth is that Cobham, the TJN and all have been asking for public country by country since 2003. However, when plans were finally published to introduce the measure last year by the OECD, the intention was to keep them secret. You can see the tax justice network’s reaction to the OECD announcement here. Of course, the EU member states and the UK are all members of the OECD, so one might well ask why did they not believe in transparency then? Remarkable how a bit of public embarrassment focuses the mind…..
Treaty shopping is one of the most important techniques used by multinationals to avoid taxation. It happens like this. Country A puts a tax on payments made to country B in order to prevent tax avoidance. These taxes are in a treaty. To avoid that tax a company in Country A instead sends the money to a letterbox in country C which has a more favourable treaty, and then it sends it on to country B. The whole process is entirely artificial with no real economic activity happening in the intermediary country. It is a transaction created to obtain a tax benefit. The whole process of working out taxes between countries with a set of bilateral treaties is becoming increasingly controversial. It is the vast web of individual agreements that create the opportunities for treaty shoppers, and some are questioning why they have a treaty giving preferential rates in the first place. 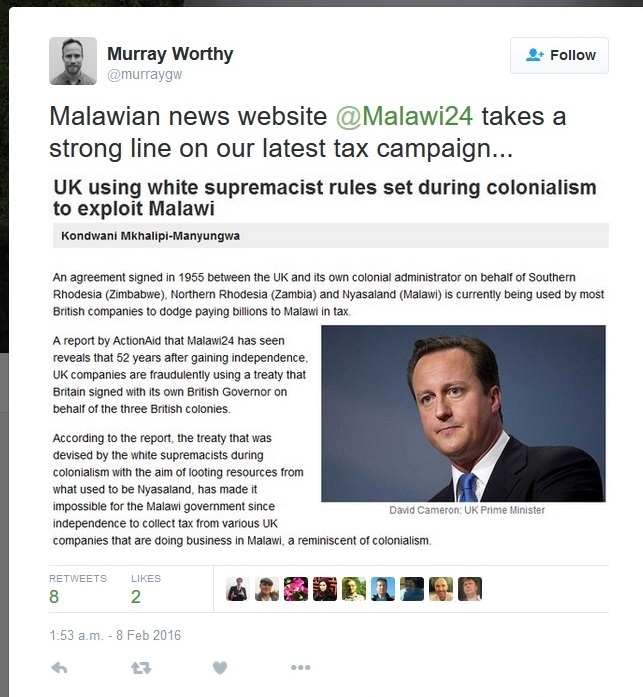 Indeed the Malawian news service Malawi24 recently described one tax treaty as a “white supremacist rule”. Up until now, the complexity of navigating the hundreds of tax treaties to whizz your money around the world has only been available to people who can afford expensive advisers like PwC. 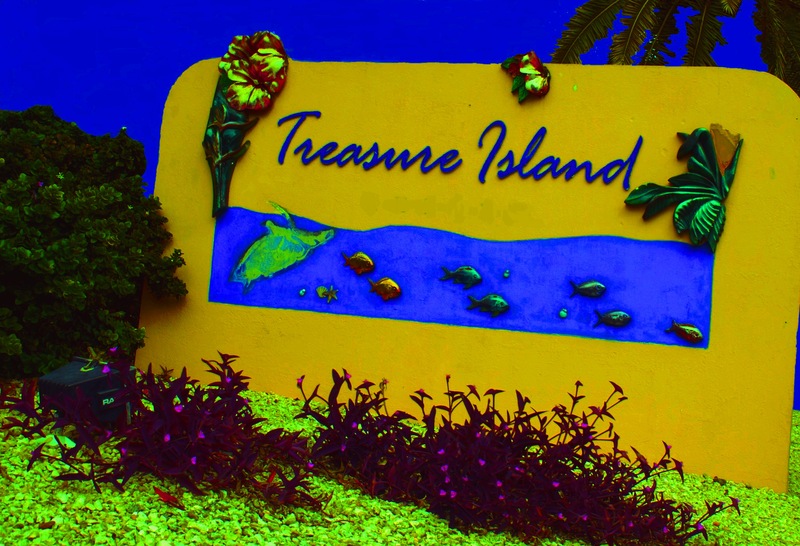 Luckily the International Bureau for Fiscal Documentation (IBFD), has released a new tool, which works out the most effective way of getting your money between A and B via a tax haven. Helping the lower income companies engage in the kind of treaty shopping that has until now only been available to sophisticated tax avoiders. The article goes onto say that the threat comes from the application of international ruled by foreign banks. Oh i do love this. its about time. Nuke the tax havens i say. I am just an ordinary Joe and i DO NOT TRUST any of the causes and charities i donate to cause they are not transparent but what else can i do to make a better world for my kids? Perhaps not nuke them, but military intervention IRAQ style would be justified against tax-havens. Go there, bring our money back, installa a new puppet regime, take their data and use it to prosecute the tax evaders. If they try flee justice we should hunt them the same way we hunted Osama Bin Laden and other terrorists. Hunt them with drones and seal teams and military power, seize their assets.